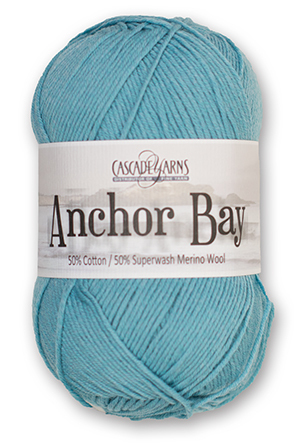 Anchor Bay is new for Spring 2016! This easy-care, Superwash merino and cotton yarn has great stitch definition and is ultra-soft making it perfect for accessories, summery tops, children's garments, and baby blankets. The beautiful colors and supple texture will make this one of your favorite yarns!